I first noticed this product in the freezer section of one of our local grocery stores a couple weeks ago. While it looked interesting, I was a bit turned off by the price ($6.29 for four) and decided not to purchase it. However, I had to run by the store yesterday evening and, while there, I saw this product again. Since yesterday was payday, I decided to splurge and picked up a box to share with my wife. I had one today and, while it wasn't terrible, it really didn't do enough to convince me I didn't waste my money. I'll start out by saying I do like the uniqueness and convenience of this product. The stuffed hash browns combine some of my favorite breakfast items in an easy-to-make form. All I had to do to make this product was slide it into the enclosed sleeve, microwave it for a couple minutes and then let it sit for an addition two minutes. This made it a very convenient breakfast I could eat at the office. I was also pleasantly surprised by how the hash brown turned out. I figured it would be very soggy/saggy when I pulled it out of the microwave. 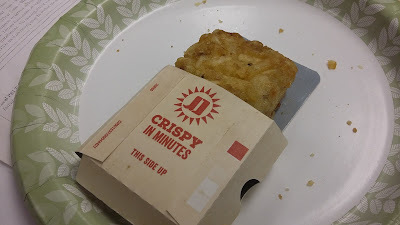 However, the hash brown outer layer was actually surprisingly crisp, the way I would expect it to be if I had made it in my toaster oven (though not quite as crisp as it would have been had I fried the hash brown). The product also had a decent taste to it. A lot of times, you'll buy something like this only to discover the "stuffing" is kept to a minimum. This had quite a bit of cheese, bacon, etc. inside of it and that did give it a pleasant-enough flavor. My biggest problem with this product is the size. 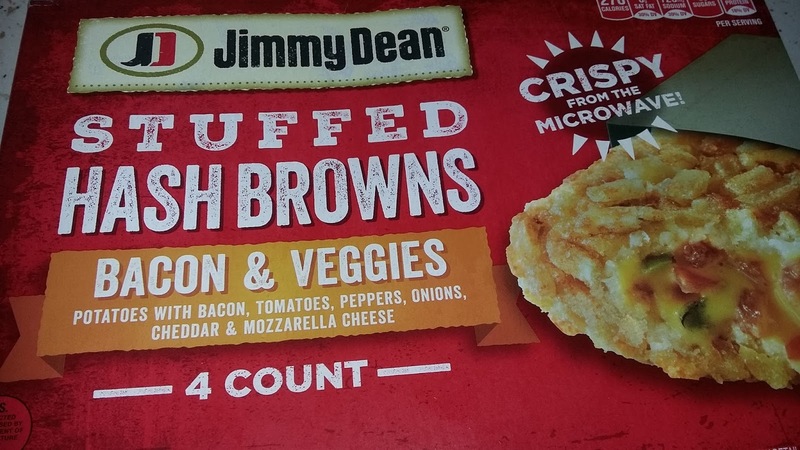 The stuffed hash browns aren't very big and, because of that, aren't overly filling. In fact, had I not planned ahead and brought an apple with me, it would not have been enough to hold me over until lunch. Given the price, which was roughly $1.58 per hash brown, the smaller size did leave me feeling a bit like I didn't get my money's worth. To feel like this would be a filling breakfast, I would have to make two of these and, at that point, it would be cheaper for me to just buy a breakfast sandwich at the Kwik Trip up the street from my office. And, I wouldn't even need to microwave that. Final Opinion: It's not a bad product by any means. 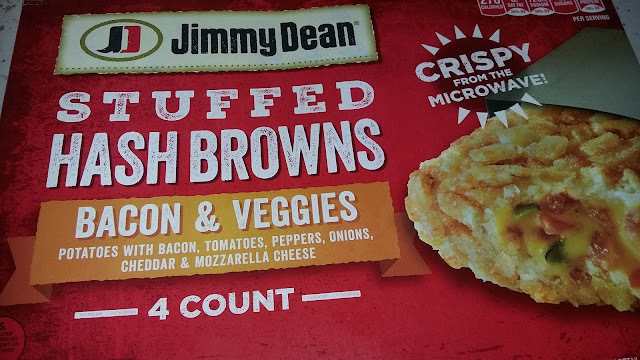 But, considering there are just four somewhat small hash browns in the box, I just can't see myself purchasing this again, at least not at the current price.